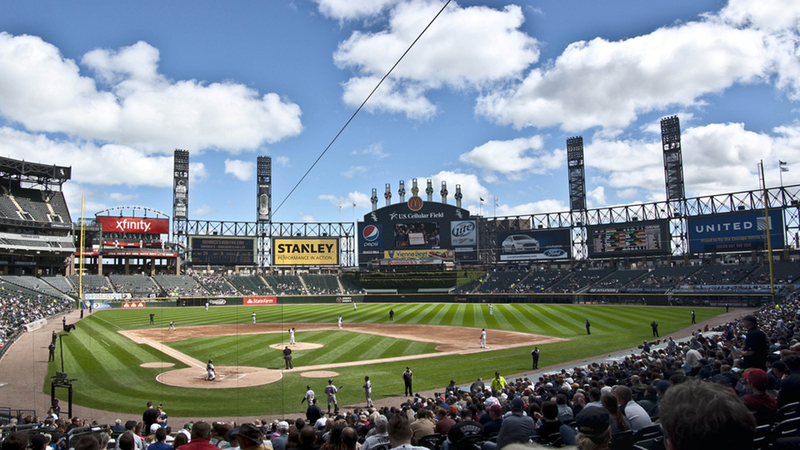 The renaming of U.S. Cellular Field to Guaranteed Rate Field has been a guaranteed hit for online mockery. Shortly after the announcement of the 13-year naming rights agreement, upset White Sox fans took refuge on Twitter through the hashtag #BetterSoxStadiumNames. The decision to rename the home of the White Sox came Wednesday from the Illinois Sports Facilities Authority, the government agency that owns and operates the ballpark. The park will officially be named after Chicago-based mortgage lender Guaranteed Rate beginning in November. Host Phil Ponce talks about the new naming rights agreement with Danny Ecker, who covers sports business for Crain’s Chicago Business. What do you think of the agreement? Add your name suggestions to the mix. July 11: The new book "Disco Demolition: The Night Disco Died" explores the notorious history of the "Anti-Disco Army" – a rebellion that led to chaos at Comiskey Park and a forfeited game for the Chicago White Sox. Ask Geoffrey: Who is Shields, as in ‘35th and Shields’? May 11: Geoffrey Baer shares the story of the remarkable man who gave Sox Park's famous intersection one of its names. May 10: It’s a dream job, no doubt about it. But Homewood native Jason Benetti works hard to keep his cool while calling games for the team he grew up rooting for.